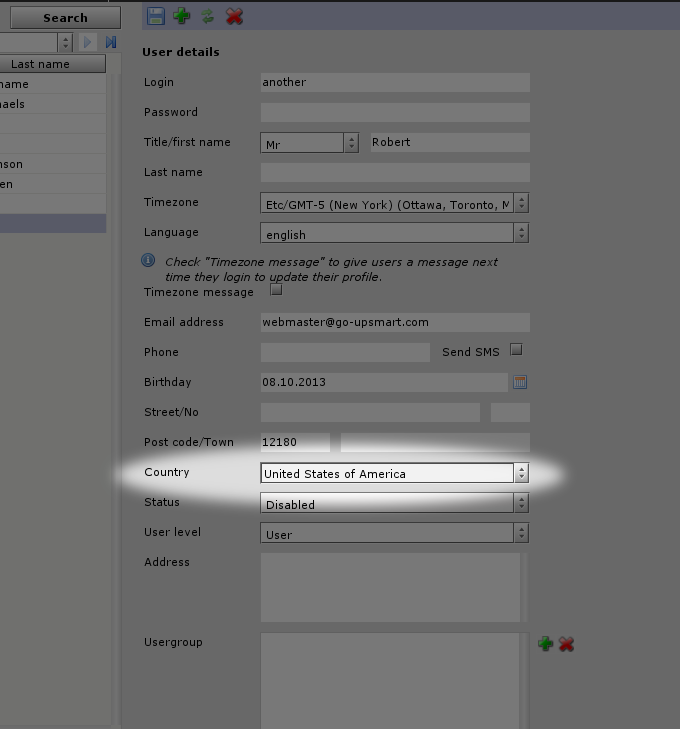 I’ve been developing using openmeetings SOAP API for a little bit (on which I hope to post soon) and I spent a bit of time getting REALLY confused on where the user’s Country field comes from, what “states_id” is for the addNewUser service, what sort of input it expects, and where it’s stored. But here’s where it gets weird. You may have figured out that states_id expects a numerical input; however, this is NOT the standard E.164 three-digit country code that all of us can easily Google for. Instead, the code is an index number corresponding to the country’s alphabetically organized row number in the Openmeetings table: state. I think this is most likely a mistake, as the database contains all the Country Codes right there next to the id field, for seemingly, no reason at all. Anyway, hope that helps someone. Oh one last interesting fact! If you’re searching/grepping through the code, for the key word “address,” they spell it “adress”. HOWEVER it is spelled “address” in the database in all instances I’ve seen so far.